A Gold Line test train at Downtown Azusa Station. The garage is at left. Photo by Steve Hymon/Metro. As many people know, Metro’s spaces in the parking garage adjacent to the Azusa Downtown Station are filling very early — about 6 a.m. on most weekdays. The garage has 547 total spaces. Of those, 200 are reserved for Metro customers, 145 for the city of Azusa and 202 for Foothill Transit patrons. The Foothill Transit spaces are reserved between 4 a.m. and 10 a.m. for Foothill Transit patrons with a free parking permit. Please see this page on the Foothill Transit website for details on how to get a permit. 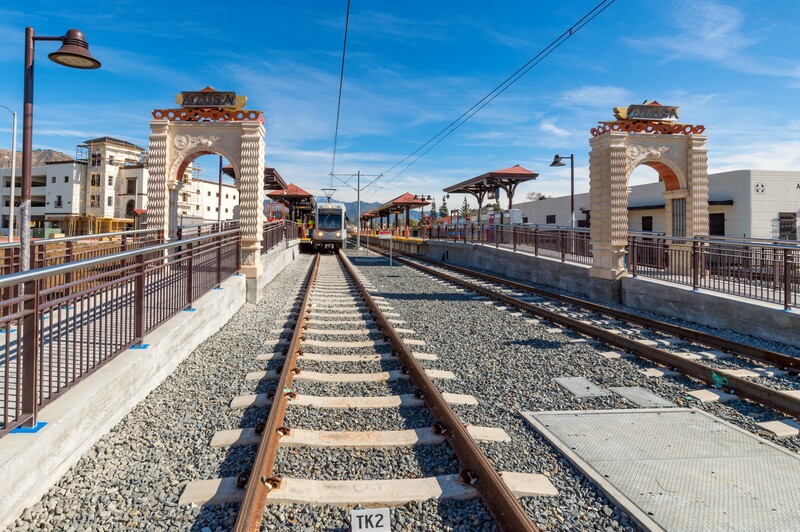 After 10 a.m., any vacant Foothill Transit spaces can be used by any transit patron, including those who will be riding the Gold Line. No permit is needed after 10 a.m. I know that doesn’t cure the issue of those trying to find spaces during the morning rush hours, but it may help those who commute or are planning to ride later in the day. •If you are a Metro rider, please DO NOT park in the Foothill Transit spaces in the garage before 10 a.m. You may be cited. 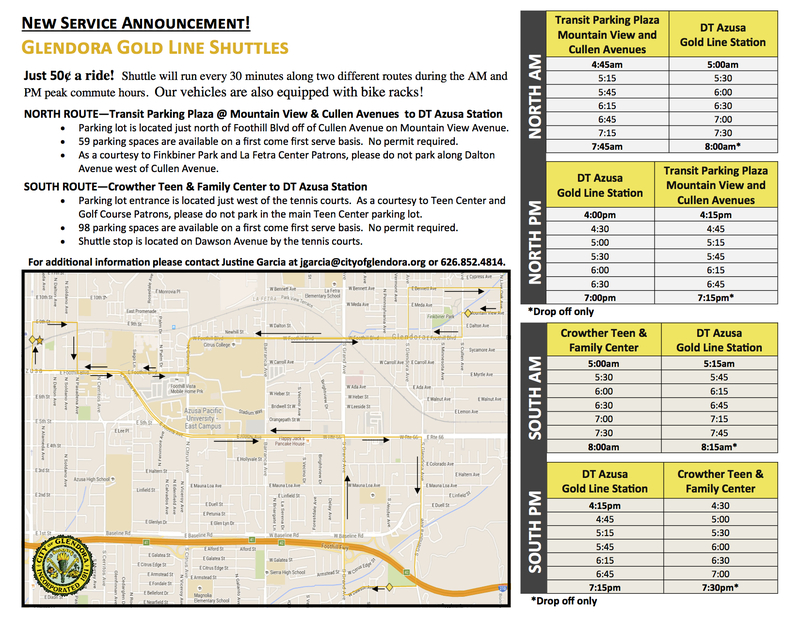 •The folks at Foothill Transit understand there is a parking issue in the Downtown Azusa garage and are looking at some possible solutions. If and when there is news about more spaces for Metro riders, we’ll certainly share it here.